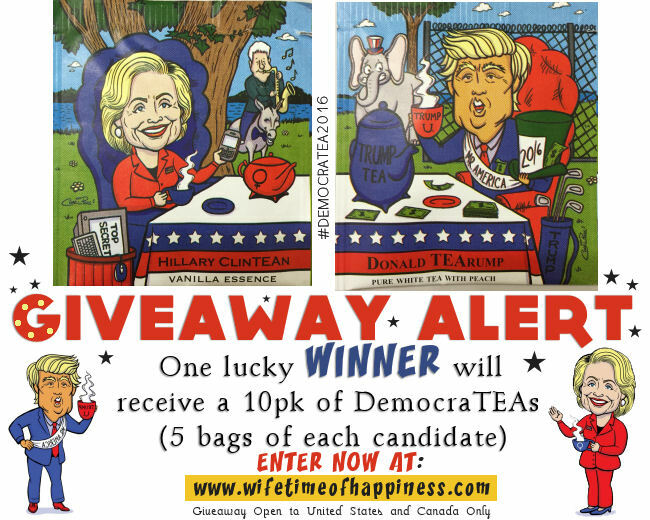 Donald TEArump & Hillary ClinTEAn DemocraTEA Giveaway! Before you scroll past (yet another) rambling post about politics, whose right, whose wrong, vote for this person, vote for that person…. Come on inside and enter now for your chance to *WIN* a 10 Pack of delicious PolitiTEAcal Teas. This entry was posted in Giveaway, Product Reviews and tagged #democratea2016, #ImWithTea, #MakeTeaGreatAgain, buy political tea bags, contests for canada, contests for usa, democrateas 2016, donald tearump, donald trump, donald trump contest, donald trump tea bags, election contests, flavored tea giveaway, giveaways for canada, giveaways for usa, hillary clintean, hillary clinton, hillary clinton contest, hillary clinton tea bags, hillary for america, kosher tea, make american great again, organic tea, peach tea, political posts, political tea bags, tea bags, tea contests, tea giveaway, USA contests, vanilla tea. Enter the $10 Amazon Gift Card Giveaway for your chance to win! 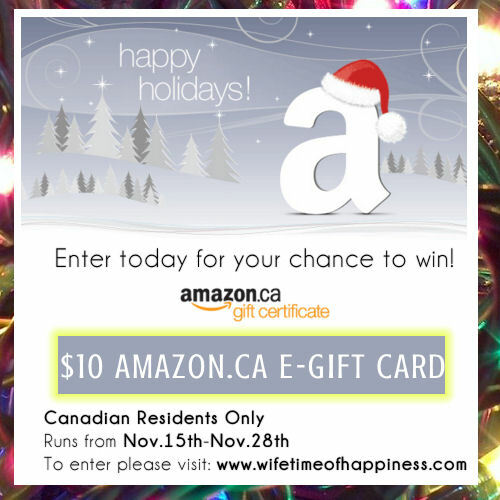 This entry was posted in Christmas, Giveaway and tagged amazon canada, amazon canada gift card giveaway, amazon gift card canada, amazon gift card giveaway, Canadian Blogger, canadian contests, Canadian PR Friendly Blogger, Canadian Review Blogger, christmas contests for canada, contests for canada, contests for canadians, contests in canada, gift card giveaway, giveaways for canada, giveaways for canadians, Hire a Blogger, PR Friendly, PR Friendly Blog, PR Friendly Blogger, PRFriendly, Product Review Blogger, Review Blogger.